Growing industrial hemp – and its cousin, marijuana – is an exclusively female business. This has nothing to do with who cultivates the crops and everything to do with the plants themselves. Male and female cannabis plants are almost identical, physically, but only males produce seeds. Female produce a stronger concentration of cannabadiol, or CBD. Male seeds screw up the whole process, whether it’s sending “volunteers” into fields where they’re not supposed to be, or gumming up the extraction process, once the plants are harvested and dried. Gandelman, 37, and his workers at Main Street Farms will eventually plant about 60,000 seedlings over 50 acres this spring. That’s more than triple what they planted last year, their first season growing hemp alongside arugula, zucchini and dozens of other vegetables. Though they’re working from seeds and plants that are supposed to be all-female, more than a few males slipped in last season, and excising them from the fields took 10 people walking the fields every other day for six weeks. “It was a learning experience – and one we’re trying to prevent from happening again,” said Gandelman, a Queens native who grew up in New Jersey before settling in this area between Binghamton and the Finger Lakes. Hemp plants double in size every week they’re in the ground, until they reach a height of about six feet. 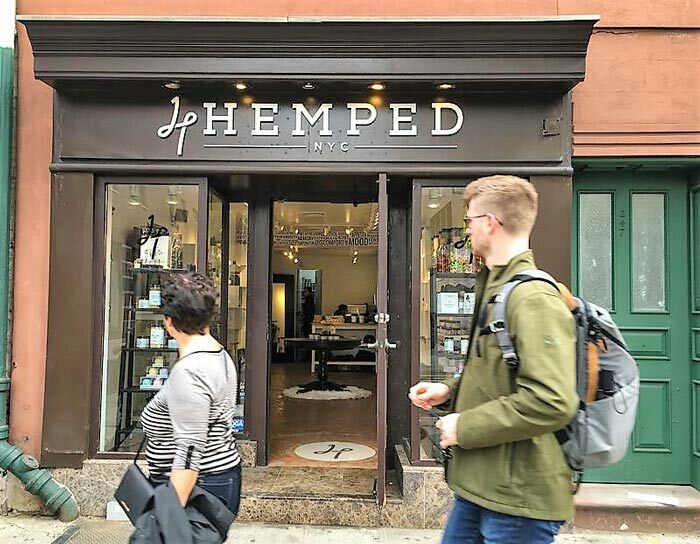 The nascent hemp industry, both in New York and nationally, seems to be growing almost as fast. Precise figures are hard to come by, but the Congressional Research Center estimates annual hemp sales in the United States topped $700 million a few years ago, and industry consultants project revenues will reach anywhere from $2 billion to $22 billion by the early 2020’s. Hemp farmers are riding a popular trend of CBD as a natural health remedy for things like joint pain, anxiety, and epileptic seizures. This kind of hemp contains little to no tetrahydrocannabinol, or THC, the psychoactive component that causes people to get high from marijuana. 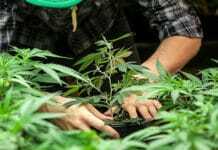 But as focused as farmers are on cultivating this form of cannabis—which can also be used in textiles and industrials materials and in foodstuffs such as non-dairy ‘milk,’ in addition to CBD—they’re also looking toward the day when New York legalizes the other cannabis, the one that does contain intoxicating levels of THC. 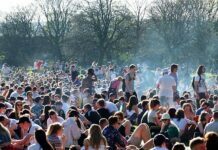 Legalizing recreational or adult-use marijuana is one of the top priorities of New York Gov. Andrew Cuomo and state lawmakers in the current legislative session, which runs through June. And influencing the laws and regulations that emerge is a top priority for local farmers. “We want to make sure that regular everyday family farms in upstate New York are allowed to participate in adult use marijuana,” said Joe Rossi, a lobbyist retained by the New York Cannabis Growers and Processors Coalition, which Gandelman co-founded with other hemp farmers. Farmers are just one group of eager entrepreneurs trying to shape the legalization debate in Albany. Tobacco companies have been looking to expand into marijuana, as have New York’s bodegas and liquor stores. And the grower-processors already licensed by the state for medical marijuana have been lobbying legislators to get into the recreational market. Legalization opponents also have been vocal, with some law enforcement leaders, physicians groups and the statewide Parent-Teacher Association leading the charge. Nassau and Suffolk counties have said they will opt out of legalized marijuana, at least initially. Rossi, whose firm has a $7,000-a-month contract with the Gandelman’s coalition, is meeting with lawmakers and regulators, trying to make sure the forthcoming weed laws don’t require cannabis to be grown indoors, a restriction medical marijuana licensees face. “It should be allowed to grow at outdoor farms, where you find the most experienced farmers in New York State,” Rossi said. 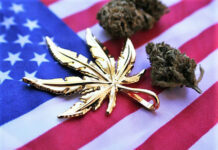 The coalition’s main focus, though, is on shaping pending legislation regarding hemp. The main bill being considered would create an Office of Cannabis Management to oversee both industrial hemp and recreational marijuana. Rossi said the farmers he represents are wary and want to stick with their current regulators. He declined to be more specific about the envisioned problems or the changes he’s proposed to the oversight bill. Gandelman wants to make sure the state regulates CBD as a “food product” rather than a “nutraceutical,” a class of supplements. Such a change would require equipment even more complicated and costly than the multi-million-dollar setup he’s retrofitting into an old lumber mill just outside downtown Cortland. 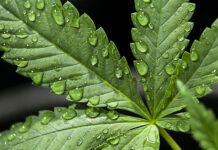 He acknowledges that CBD sellers have been making extraordinary claims for what the oils and ointments can do and widespread inconsistency about the quantity and quality of the substance in retail products. But he likens taking CBD as a sleep aid to drinking ginger ale for an upset stomach. The New York City Health Department, though, isn’t treating CBD so gingerly, much to Gandelman’s chagrin. The department will soon embargo CBD-infused foods from being served at restaurants and bars, pending further clarification from the FDA.